Puzzlepops! 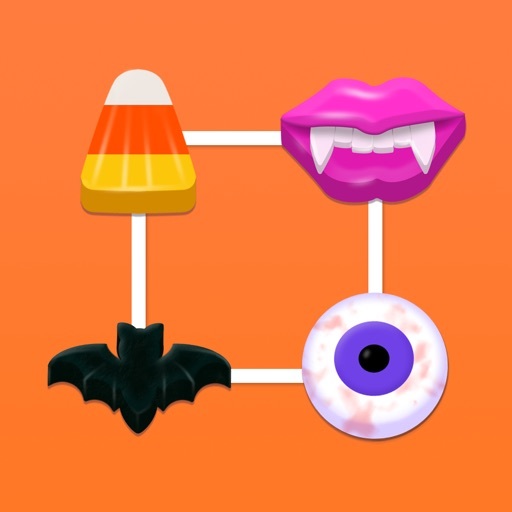 Trick or Treat (Free) by Layton Hawkes is a delightfully sweet puzzle treat just in time for Halloween. If you’re a big fan of candy, puzzles, and Halloween, then this is the perfect mashup of everything you love. And if you haven’t tried out the original and fantastic Puzzlepops! title, then this is the perfect way to get a taste of the classic. Halloween is one of my favorite holidays of the year. I love seeing houses decorated with pumpkins, skeletons, witches, spider webs, and other festive decor, and it’s always great to go to one of the many Halloween-themed events that happen around town or at theme parks. Plus, how can I resist rewatching one of my favorite movies of all time, “The Nightmare Before Christmas,” when it’s perfect for the season? And as a kid growing up in a suburban area, it was always a blast going trick-or-treating and seeing what awesome candy I ended up with by the end of the night. Even though I’m a bit older now, I still enjoy Halloween a lot and love the festivities, even though I’m way too old for trick-or-treating. When I played Puzzlepops! earlier in the year, I fell in love with the game immediately, and seeing all the tasty candy definitely made me think of Halloween, where it is plentiful. Naturally, when I heard that there was going to be a Halloween edition of Puzzlepops, I knew I had to get my hands on it. Visually, Puzzlepops! Trick or Treat is as delightful as the original. 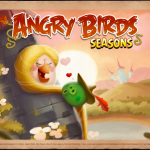 In the original game, players found themselves in a world of bright color and shiny, decadent candies of all shapes and flavors. In the Trick or Treat edition, Puzzlepops features bright and vibrant background colors that are more in tune with the holiday, and there is even a subtle pumpkin pattern print that will bring a smile to your face. The candies themselves look absolutely delectable, as the game features staples like candy corn and Dracula lips to eyeballs and bats, along with some more normal treats. No matter how you look at it, chances are high that you’ll have a big sweet tooth after playing a few levels (at least I did). 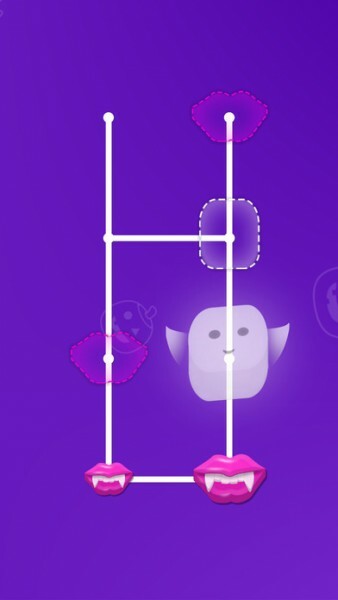 The animations in the game are buttery smooth and fluid, and there are quirky sound effects as the candies move around on the lollipop sticks. And to top it all off, a fun, spooky soundtrack plays in the background to help you get in the Halloween spirit. 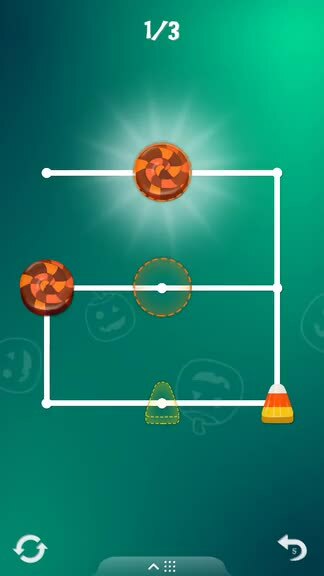 Overall, the developer has done it again in terms of visuals and audio with this Trick or Treat edition of Puzzlepops. Like typical puzzle game fare, Puzzlepops! Trick or Treat is based on levels. 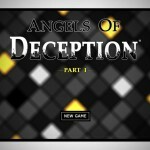 There are seven total chapters in the game, with about 10 levels in each (the first having only five to show you the basics). But since the Trick or Treat edition is free, it only gives you the first three chapters with the initial download — the other four chapters (50 more stages) are part of the Premium upgrade, which is only a $0.99 in-app purchase. Personally, seeing how good the original game was, I think the Premium upgrade for this one is worth the purchase, and I’ll definitely be getting it once I complete the free content. But whether you get Premium or not, the goal for all levels is the same: get the candy pieces into their appropriate spots on the lollipop sticks, but it’s much harder than you think. 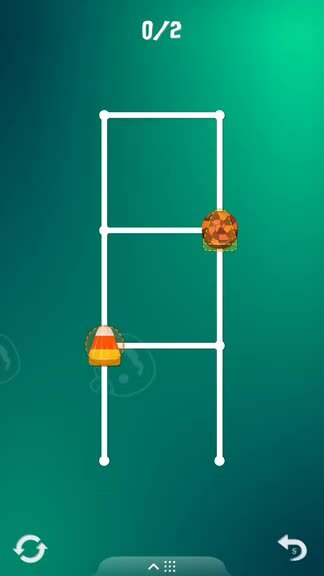 Controls in Puzzlepops is simple enough: to slide a candy piece on the sticks, just swipe it in the direction you want it to go. 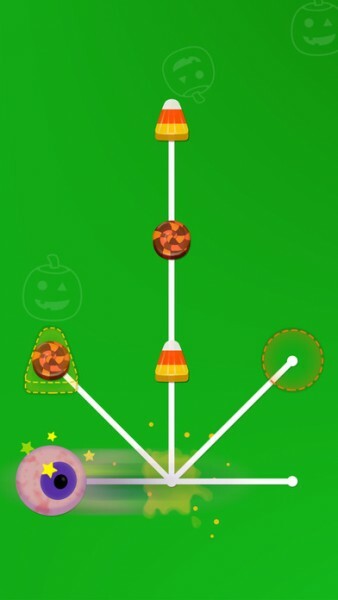 Once a candy slides, the only way for it to stop is if it reaches the end of the stick or if there is a different piece of candy that is blocking it. To make larger candy, just slide a piece of candy into another candy of the same type, and it grows in size. 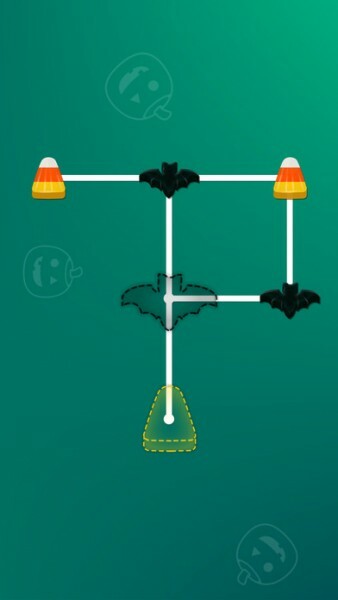 With the Trick or Treat edition, some festive candy have unique traits, such as the immobile bat, which can only be swapped to the position of a candy that slides into it. When all of the candy is in their proper spot on the sticks, then you’ve successfully completed a level and can move on to the next. 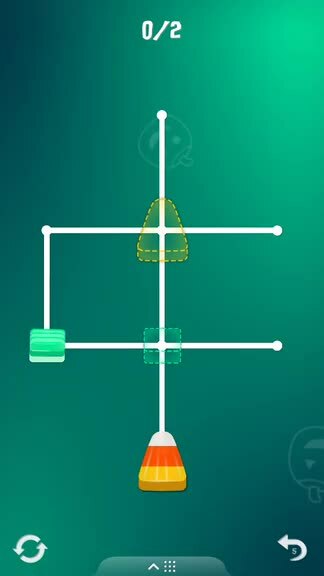 However, the game allows players to play levels in any order, so it’s not linear. As a big fan of the original Puzzlepops, I was super excited to hear about a Halloween edition of the game, because what could be more perfect? I have only spent my morning on the game so far, but I love every bit of it. The graphics are on point, the festive music makes me smile, the sound effects are as eccentric as I remember, and the puzzles themselves are get pretty tricky. 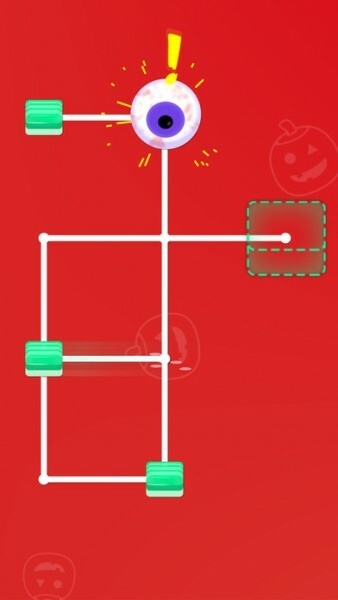 It’s the perfect little puzzle game for Halloween, and it’s great for anyone, no matter how young or old. The Premium upgrade is also worth the money, in my opinion. 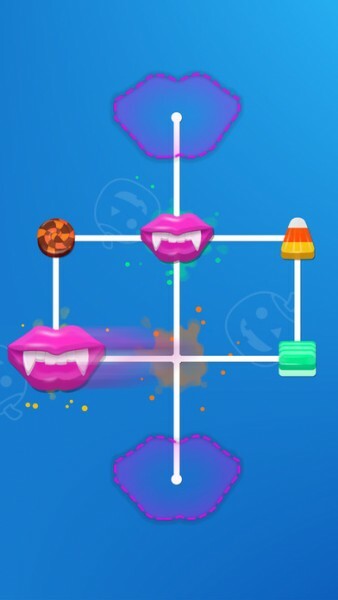 If you love sweets, Halloween, and puzzles, then I recommend grabbing Puzzlepops! Trick or Treat. You can find Puzzlepops! Trick or Treat on the App Store as a universal download on the iPhone and iPad for free, with a single $0.99 in-app purchase for 50 more levels. There are no ads either way.